Athena, you do look very comfy/ You sure are good looking Tabby. I bet that book of yours is a good one. Hope you have a great Sunday. Thank you for your comment. Hope you have a great Sunday too! 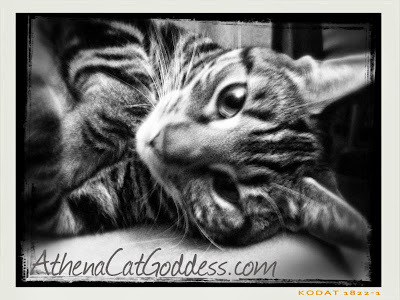 My human needs to do some more black and white photos of me - I think it suits us kitties, don't you, Athena? You have a cute little face Athena.